Attending an EcSell Institute coaching event will not only give attendees a fresh, new approach on sales coaching, but also actionable takeaways that can be implemented immediately to reach peak performance levels and increased sales. Anyone, from any industry/company size, who is responsible for leading, coaching or managing a team to perform at a higher level should attend this event. The top 20% of sales coaches bring in $4.3 million more per manager ever year than the bottom 80%. Sales managers who play a demotivating role within their organization led teams that perform 9% lower, equaling a $2.1 million decrease, than sales managers who are highly effective at motivating their reps. Sales leaders who spend only 2 hours of coaching per month per rep achieve 90% of sales goal. Those who spend more than 3 average 107% of goal. World-renowned speakers will present on data and research-based topics in areas such as psychology, team performance, development, and so much more. Attendees will leave with an understanding of how top performers become top performers and how to take the proper steps to become one too. 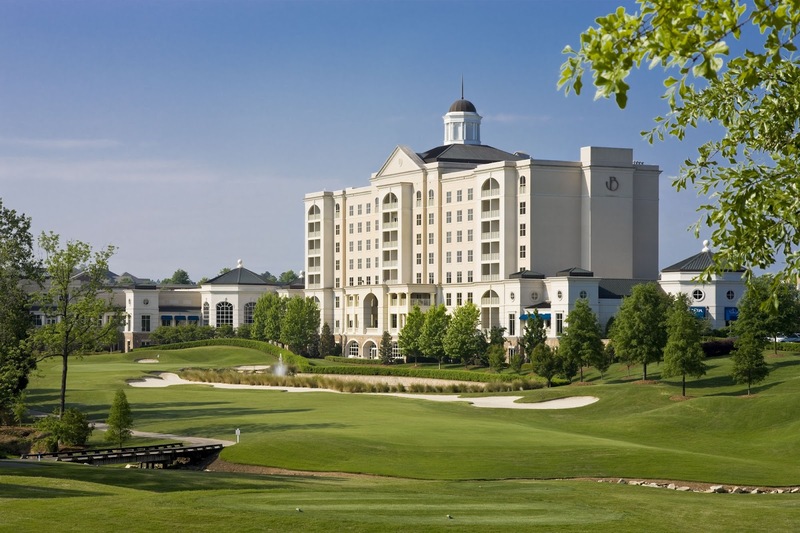 The Sales Coaching Summit will be returning to this luxury collection hotel as it's one of the highest rated events yet in Summit history. Previous attendees have raved about this location with its spacious and picturesque meeting spaces, elegant accommodations, abundant amenities and on-site group activity opportunities. And the location couldn't be any more ideal - located within 9 miles of SouthPark and Carowinds, and within 18 miles of Uptown Charlotte and Charlotte Douglas International Airport. From unique culinary or brewery experiences, museums, live music, shopping, sports or outdoor adventure, Charlotte is the perfect place to extend your stay on the front or back end of the 2019 Sales Coaching Summit. * Summit registration investment includes all breakfasts, lunches, and refreshments served during the event as well as all needed materials. Following registration, expect to receive a link to make hotel reservations if you choose to stay at the event location. Our attendees are a diverse group of sales leaders from across the world who regularly attend year after year. "This event is inspiring, engaging and personal. The theme was well established throughout all of the presentations. I honestly learned so much that I will be putting to meaningful use. Also, the EcSell team was all fabulous - prepared, welcoming, available. There was a sense of camaraderie from the get-go." "A breath of fresh air to be trained to self improve and not just focus on sales/numbers/close. We can't be successful sales leaders without growth and improved coaching ability for our teams." "Connecting with other sales leaders and having time to think about our business, and not operate in it, were two highlights of this event for me." Long Distance Runner From E:60's Feature "Catching Kayla"